FINE CUT PRODUCTIONS, LLC is an independent documentary film production company, based in Cambridge, Massachusetts. Producer Marty Ostrow is the director of Fine Cut Productions. He has been making award-winning television documentaries for more than twenty-five years. America and the Holocaust: Deceit and Indifference, Thomas Berry Speaks, and Renewal are three of Fine Cut Productions’ better-known films. MARTY OSTROW has been a producer, writer and director for public, commercial and cable television for more than 25 years. His most recent work is the documentary profile of teacher/author Larry Rosenberg. Larry Rosenberg: Long Path Home tells the remarkable story of Larry’s life-long search for self-discovery that gave rise to one of the nation’s most vibrant centers for meditation practice and learning. Prior to that, Marty’s 90-minute documentary, Renewal, was the first film to tell the stories of America’s growing religious-environmental movement. The award-winning film (co-produced with Terry Rockefeller) is being widely used across the country to inspire grassroots environmental action among diverse religious communities. 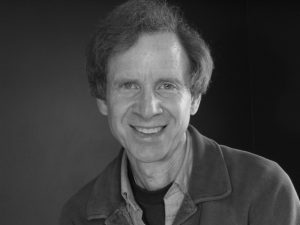 Marty’s other award-winning films include the acclaimed 90-minute documentary America and the Holocaust: Deceit and Indifference, for the PBS series The American Experience. He received the Writers Guild Annual Outstanding Achievement Award as well as an Emmy Nomination for writing this show. In addition to history, Marty has made many films about science, for NOVA, PBS’s Discover the World of Science, and the Discovery Channel. He was the producer of two hours in the trailblazing documentary series Race to Save the Planet, the first large-scale PBS effort to bring environmental issues to national consciousness. Marty’s work is known for the intimate portrait style he brings to his subjects. During eight seasons, he produced a series of more than thirty short films on the arts for the WGBH series Greater Boston Arts and Art Close Up. Three of these films received Emmy Awards while many others were nominated. Marty’s films have been seen in festivals around the world.